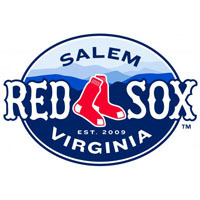 The Salem Red Sox fell in their series finale with the Myrtle Beach Pelicans Wednesday night at LewisGale Field, 1-0. The Red Sox won the series with the Pelicans, 2-1, and were 4-2 on the homestand. Travis Lakins took the mound for the Red Sox (47-28, 4-2), and he was dominant early – retiring the first seven batters he faced. In the top of the fourth, the Pelicans (39-38, 3-4) touched up the righty for a tally when an Ian Rice double plated Gleyber Torres to put Myrtle Beach ahead, 1-0. Lakins (5-3), celebrating his 22nd birthday Wednesday, had his best start in over a month. He allowed just the one run in 5.2 innings of work, giving up six hits, striking out two and not walking a batter. It was the first time since May 24th that Lakins allowed fewer than two runs in an outing. Pelicans starting pitcher Jonathan Martinez labored through the first two innings, but was able to work through trouble and settle down to record 6.0 shutout innings, allowing just three hits. Martinez (4-5) tossed his sixth quality start of the season for Myrtle Beach. Jamie Callahan replaced Lakins and retired all seven batters he faced to keep the score close, including striking out a pair of batters. Simon Mercedes tossed a 1-2-3 ninth inning as Salem pitchers combined to retire the final 12 Pelicans batters. Joseph Monge led off the bottom of the ninth with a single against Ryan McNeil, and after a failed sacrifice bunt attempt, he stole second before advancing to third on a wild pitch. With two outs, Nick Longhi and Rafael Devers drew back-to-back walks to load the bases and bring up Jose Sermo, who popped out to end the game. The Red Sox hit the road to begin the longest road trip of the season Thursday, as the club heads north for a four-game set with the Frederick Keys. First pitch is scheduled for 7:00 pm at NYMEO Field at Harry Grove Stadium. Salem will throw Daniel McGrath (2-3, 4.75) in the series opener, while Frederick counters with Mitch Horacek (3-8, 5.07). Follow along with all the action on the Salem Red Sox Baseball Network, with pre-game coverage beginning at 6:45 pm.